Developed in partnership with National Geographic Maps, the Legacy Institute for Nature and Culture launches the Greater Everglades Conservation Atlas. Mollie was selected to represent the Lake Wales Ridge. 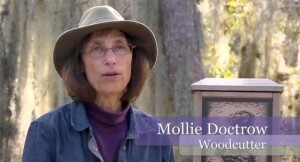 See the Lake Wales Ridge Conservation Atlas video. Learn more about the project and the other artists at the LINC web site.